Okay! Musume Time: Contract Terminated! Kobushi's Fujii Rio Fired From Factory! Contract Terminated! Kobushi's Fujii Rio Fired From Factory! Today on July 6th, it was announced by Hello! Project's management team that Fujii Rio, who was supposed to graduate at the end of the Hello! Project Summer tour, has recently left the agency, after her contract was cancelled. Currently, the only reasons for Rio's sudden departure are vague. 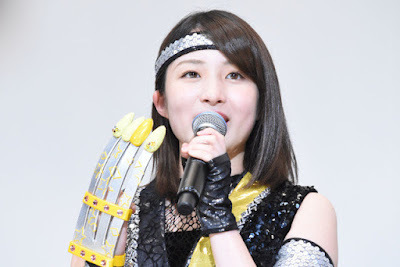 Management have stated that Rio's contract was cancelled, as she did not comply to the rules that they had set, therefore resulting in a premature departure from the Kobushi Factory member. According to the announcement, both management and Rio had talked about what she would do before graduating, however as she had not stuck by the rules or her promises to the agency, they found it better to let her go now, as she was not responsible enough for Up-Front or Hello! Project. However much of this is true, we do not know. Still, it is safe to say that, for Rio, there is / will be some blame on her part. Rarely does a company cancel a contract, unless there is a dispute or scandal of some kind. Still, it's a little annoying, and I'm not even a fan of this group or the member in question to begin with! Currently, I'm most annoyed for Rio's fans right now. Already, the Western fandom felt cheated that she was getting a Hello! Pro graduation, instead of a full Kobushi one, but there were reasons for that. Reasons in regards to Rio wanting to focus on studying. That I understood. But now, for the Rio fans who hoped to see her graduate, see her in a pretty dress and hear her final solo song, there will be nothing. Though I can't blame Management for this one. If Rio broke the rules of her contract, then it can't be helped. I understand the sadness and the despair fans must be feeling, but I also understand that Rio is an Idol, and there are rules she must adhere to. But, what did she do to make Hello! Pro terminate her contract? I'd like to find out, because they were pretty vague. I guess we will have to wait until it all unravels, or secrets are spilled. It's so sudden though, and I don't think it's helping in Hello! Pro's current state of affairs, either. With the sudden near-disbandment of Country Girls, the new member additions to various groups, and other things that are coming up during the 20th Anniversary of Hello! Pro, it feels like everything is falling apart. Whether Hello! Pro will be able to pick up the pieces, is another matter. And we still have the July 15th announcement to go. It feels overwhelming. I truly feel for all the Fujii Rio fans out there. Graduations are hard, but to lose a member this way from a group you love, is even worse. I've seen various members in other groups I love, leave this way as well. It's hard, and you suffer slightly for it. They are precious to you, they can do no wrong, but then fate is cruel and shows you that, like us, these darling Idols can do wrong, and they are kicked out at the drop of the hat. It's sad to think about, and it's horrible to know that someone so precious to you is fired so quickly. I would have liked to see Rio graduate. Even though I am not her fan, nor a fan of Kobushi Factory, I think that she deserved to graduate from the group she had been a part of. 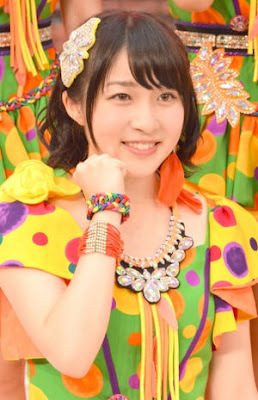 For the time that she was in Kenshuusei and Kobushi Factory, Rio worked hard, and she was adored by her fans and fellow members. Sadly, we will not get to say goodbye the way we want to. We just have to do it from our screens instead. It may be cruel to say this now, but Rio should have stuck to the rules. It's annoying that she went this way, however, Idol Management have to do, what they have to do, in order to keep order and peace, and if they let Rio get away with things, then Hello! Pro would probably be in a lot more disarray than it already is. This year in Hello! Pro is a bit nuts, to say the least. But, it's the 20th Anniversary. Go big or go home, and clearly, Hello! Pro are sending them all home, whilst going big for the hell of it. Goodbye, Fujii Rio. For the short time I paid attention to ya, it was nice knowing you. Hopefully, you are successful in life after this dog and pony show. Take care, kiddo. Until next time, everyone. Love your Idols, and cherish them like they'll graduate or get fired tomorrow.